ECOTIC is the first collective scheme of producers and im porters of electrical and electronic equipment (EEE) in Romania, founded in 2006, aiming to bring more efficiency, unity and homogeneity to the fulfillment of their environmental responsibilities. ECOTIC manages Waste Electrical and Electronic Equipment (WEEE) on behalf of more than 600 affiliated producers and importers. ECOTIC assures and supervises the entire take-back, transport, dismantling and recycling process so that WEEE is no longer a threat. More than 113,000 tons of WEEE was managed in the ECOTIC system. Prompt and specialized consultancy offered to manufacturers of electrical equipment and batteries waste is a defining element of ECOTIC. ECOTIC introduced in 2007, for the first time on the Romanian market, Timbrul Verde®, a symbol that has become, in time for consumers, a guarantee of WEEE management. Green Stamp/Timbrul Verde®– remuneration to cover the cost of WEEE collection, re-use, recycling, recovery and elimination and consumer awareness costs, activities to be funded by EEE producers, articles 28-32 of GEO 5/2015. Since 2011, ECOTIC is certified in accordance with the ISO 9001: 2008 quality management system, ISO 14001:2005, and from 2012 ISO 27001:2005 (information security), receiving recertification at each evaluation. The management of the ECOTIC Organization is ensured by the General Assembly of Associates. Between the General Assemblies, the management is carried out by the Board of Directors. ECOTIC is a member of the international organization WEEEEurope and WEEE Forum and is a founding member of the WEEELABEX Organization. We aim to a community that is aware of waste problem and proactively collects and recycles WEEE for a clean environment. 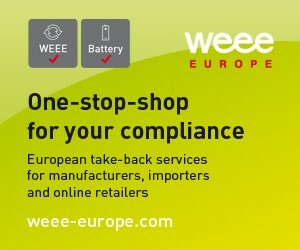 We achieve producer’s targets in WEEE collection and recycling in a environmental sound manner and in a cost efficient way. ECOTIC BAT is a newly established organization following the need to organize separately and efficiently a component complementary to the core business of ECOTIC: the collection and recycling of portable and industrial batteries. ECOTIC BAT’s results have grown impressively in recent years; Together with an experienced team and a well-established infrastructure at the end of 2017, ECOTIC BAT already has over 6624 national collection points and has managed to implement national awareness and education campaigns. Only through the campaign “The little ones do big deeds” more than 30,000 pupils across the country have been involved in eco-education activities. The annual activity reports are available here.